For 20+ years Baja Designs has engineered revolutionary ways to stay at the forefront of motorcycle and automotive lighting. The first product developed was a Dual Sport kit that made a pure off road motorcycle minimally street legal. This intimate knowledge of motorcycle electrical capabilities led to a natural evolution to engineer the first HID motorcycle race light. Owner/Lead engineer Alan Roach and Product Development Engineer Stephen “Tex” Mitchell were avid Baja 1000 motorcycle racers who were able to fine tune a motorcycle’s limited light optics to maximize rider comfort, speed and safety. 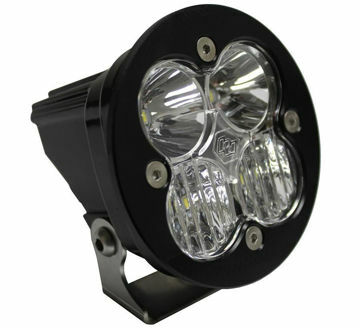 As a result, BD lights have won every professional and amateur motorcycle and ATV Baja 1000 class for over 15 years. As our engineers and racers advanced to truck and buggy racing, the next evolution began. The engineers quickly adapted their race winning HID motorcycle lights to their new race vehicles. With amazing speed, BD HID lights were adopted by the vehicle race community and could be found on the majority of Baja 1000 winning vehicles. In the process, BD engineers became well known as “The Scientists of Lighting” and were sought out by professional race teams to develop and aim their vehicle lighting. 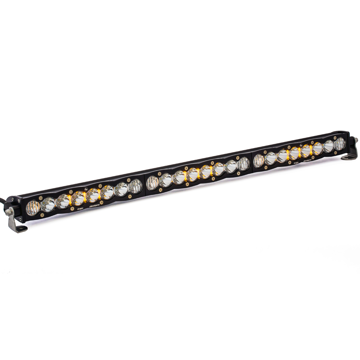 LED lights were the next natural evolution of lighting and BD was the first company to develop a forward projecting LED light bar which was introduced and raced in the 2005 Baja 1000. That original LED light bar has evolved into a line of the highest performing and race winning LED lights on the market. Revolutionizing industry leading lights is not just a job at BD, but a lifelong passion for both the owners and employees. The BD product line is dedicated to being BRIGHTER, BOLDER, and BETTER, which is why we truly are “The Scientists of Lighting”. Squadron-R Pro Enjoy 4,900 lumens utilizing 4 Cree LEDs! The Squadron-R Pro’s light weight and powerful capabilities make it the ideal companion for all of your late night off-roading adventures! Relish high-performance and durability with nearly 50,000 hours of auxiliary LED light, optimized for a more traditional LED experience and aftermarket bumper featuring a 4” round hole. As always, Baja Designs offers a 30 Day Satisfaction Guarantee & Limited Lifetime Warranty. Squadron-R Sport Similar to the Squadron Sport, the Squadron-R Sport off-road lights produce 1,800 lumens of pure power to light up the trail on your nighttime off-roading excursions! The Squadron-R Sport has been designed for customers looking for LED performance with more traditional styling. The Squadron-R Sport has also been optimized for aftermarket bumpers featuring a 4” round hole. Enjoy nearly 50,000 hours of optimal performance out of this small, but high-performing auxiliary LED light. As always, Baja Designs offers a 30 Day Satisfaction Guarantee & Limited Lifetime Warranty. At an impressive 24,920 lumens, the brightest just got up to 69% brighter than our previous generation. The OnX6+ LED light bar also integrates Baja Designs’ trademarked High Speed Spot™ reflector, the same one used by our Team Enlightened racers, to give you the guaranteed furthest projecting LED Light Bar on the planet. 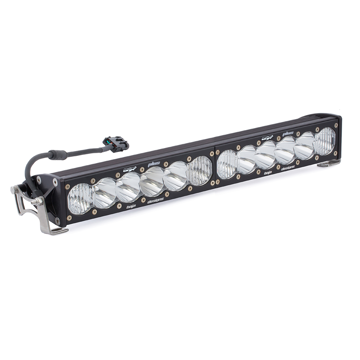 In addition, the OnX6+ LED light bar adopts industry standard sizing and is now compatible with aftermarket mounting systems. An industry first 30 Day Satisfaction Guarantee & Limited Lifetime Warranty is included for the ultimate in purchase protection. At an impressive 31,910 lumens, the brightest just got up to 69% brighter. The OnX6+ LED light bar also integrates Baja Designs’ trademarked High Speed Spot™ reflector, the same one used by our Team Enlightened racers, to give you the guaranteed furthest projecting LED Light Bar on the planet. 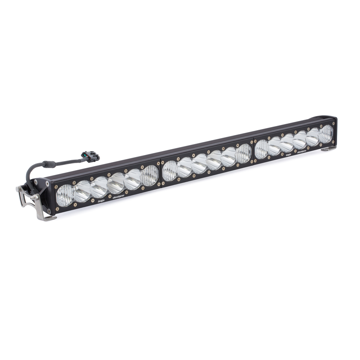 In addition, the OnX6+ LED light bar adopts industry standard sizing and is now compatible with aftermarket mounting systems. An industry first 30 Day Satisfaction Guarantee & Limited Lifetime Warranty is included for the ultimate in purchase protection. Baja Designs' latest LED light bar comes with a few new perks! Enjoy the clean aluminum frame with 18,984 lumens of pure power, low amp draw of 12.17 amps, and nearly 50,000 hours of LED life. The S8 also features upgraded reflectors, an amber backlit feature, and new scalloped housing design. The S8 is backed by our 30 Day Satisfaction Guarantee and Limited Lifetime Warranty giving you the ultimate in purchase protection!